Set yourself apart from competitors! We’ll create a unique logo for your business and other print and digital branding materials. Our services are tailored for business growth. Our sites are search engine-friendly, and loaded with features to help you reach more customers. Establishing your look or brand is how you develop your corporate identity; this is how your audience perceives your company and services. 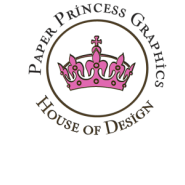 © Copyright Paper Princess Graphics 2016. All rights reserved.